January 29, 2018—Trees are often symbols of life. Here’s one of torture and death. One that you can walk right up to today and wrap your arms around. 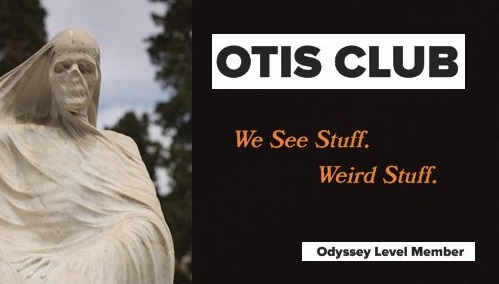 I know, ’cuz I did. The year was 1779, four years into the Revolutionary War. A Continental Army led by Major General John Sullivan was on a mission in the Finger Lakes region of New York to decimate the Native American villages of the Iroquois who had joined the British forces and were attacking settlers in the area. At one point during this three-and-a-half-month campaign, Sullivan sent out a scouting group led by Lieutenant Thomas Boyd. The scouts were subsequently ambushed. 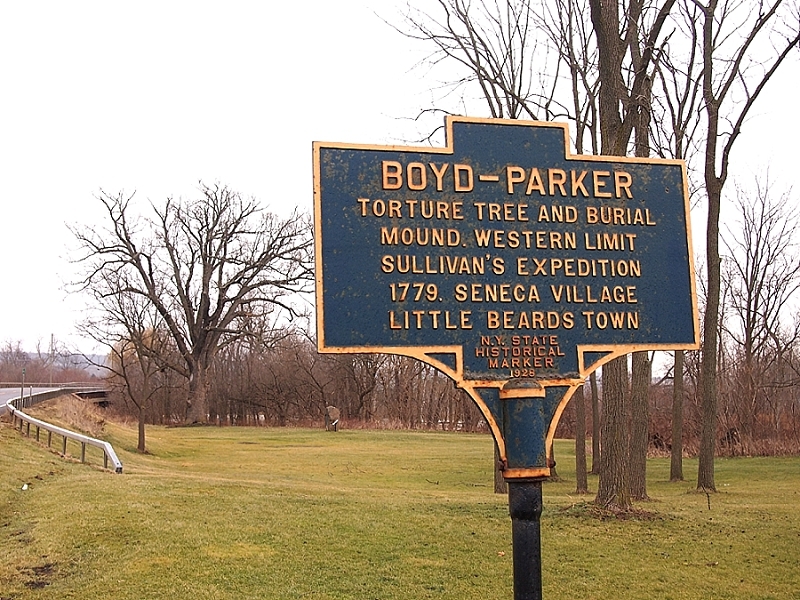 Most of the two dozen or so men in Boyd’s company were killed, and at least two were captured. Those “at least two” were Boyd himself and a Sergeant Michael Parker. After being questioned by British military leaders, the two prisoners found themselves in the vengeful purview of Little Beard, chief of the Seneca people and a part of the Iroquois League whom Sullivan was there to violently displace. 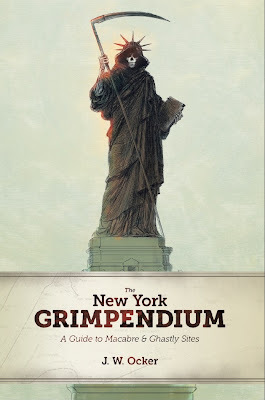 The Native Americans, furious at what Sullivan’s army was doing to their villages, tied Boyd and Parker to a tree and then commenced a series of drawn-out tortures, the details of which tradition—the same tradition that has forgotten the location of the Ark of the Covenant, the dying words of Albert Einstein, and the identity of the author of Beowulf—has carefully preserved and passed down over the past two centuries. Judging by the condition of their cadavers, the men were subjected to everything one would [not want to] imagine, genital mutilation, finger- and toenail removal, the full range of sensory organ amputation, and, in one especially grisly detail that has probably done more to perpetuate the story of Boyd and Parker than anything else, they had their entrails fastened to the tree and were forced to run around it in a macabre maypole dance. Both men were eventually behearted and beheaded. Their mutilated bodies were found soon after by their comrades, were buried on the spot, and then Little Beard’s village was sought out and razed. Modern-day Cuylerville currently claims that zip code. In 1841, the remains of Boyd and Parker, along with the remains of some of their fallen mates, were transferred to a spot in the newly opened Mount Hope Cemetery in Rochester. Today, monuments mark the various locations of this war-time atrocity, and I visited them all on a winter’s day, wet snow spitting from the sky, the image of mutilated men running bloody rings around a thick tree trunk pungent in my mind. The location of the ambush is memorialized by the Groveland Ambuscade Monument. 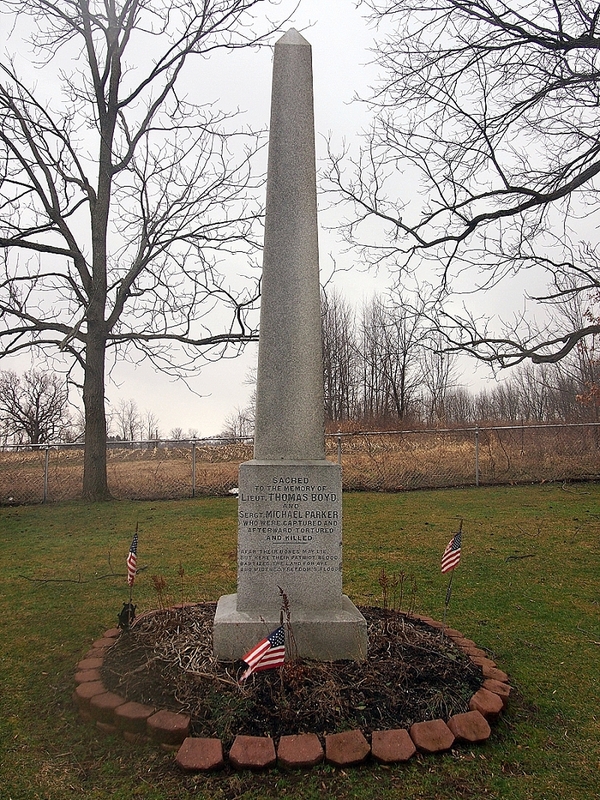 Set on a hill overlooking farmland and forest, the simple obelisk is inscribed with a verse about the spot being baptized in Boyd and Parker’s “patriot blood.” The stone shaft is located at 5434 David Gray Hill Road in Groveland. 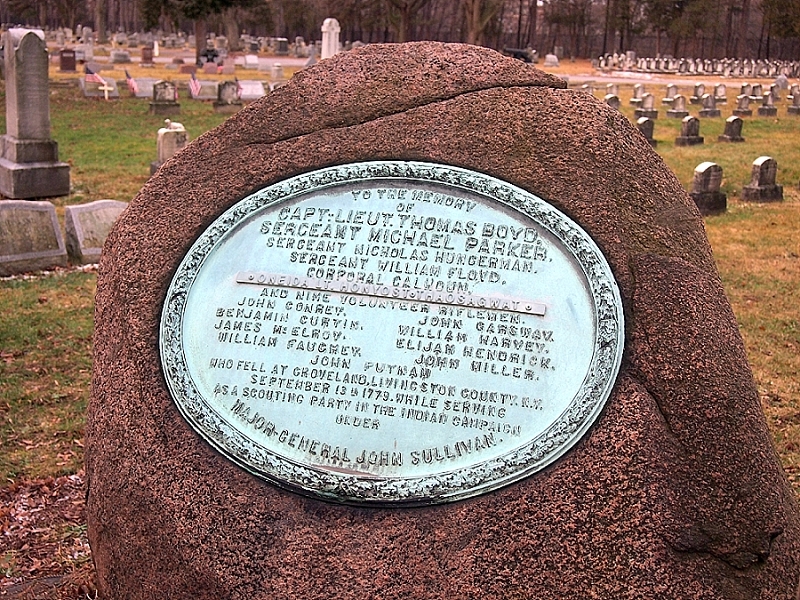 In Mount Hope Cemetery at 1133 Mount Hope Avenue, a boulder with a plaque affixed to it marks the plot where Boyd, Parker, and other of the ambushed party repose. It’s located in the back corner of the cemetery, in section BB, right on one of the cemetery roads. In front of the boulder are a series of individual plaques set flush with the grass the mark the individual bodies. 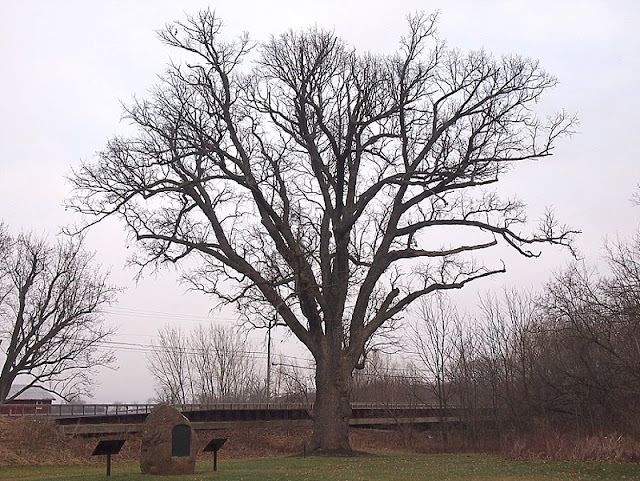 Of course, none of these memorials are as compelling as the Torture Tree itself, which, at least according to that fickle tradition already mentioned, still stands. Located in the small Boyd and Parker Memorial Park in Leicester, the massive monstrosity of a plant is immediately evident upon pulling into the parking lot. The park is located on Cuylerville Road between Barrett Road and Canal Street. The only things in the small grassy space are a couple of informational signs, two plaque-adorned stone memorials, and a beat-up bathroom that was out of service when I visited. And, of course, in the corner of the space, overshadowing the road, the gigantic impromptu torture device itself. Because it was wintertime, I saw it in all its naked, gnarly, Ent-like glory. 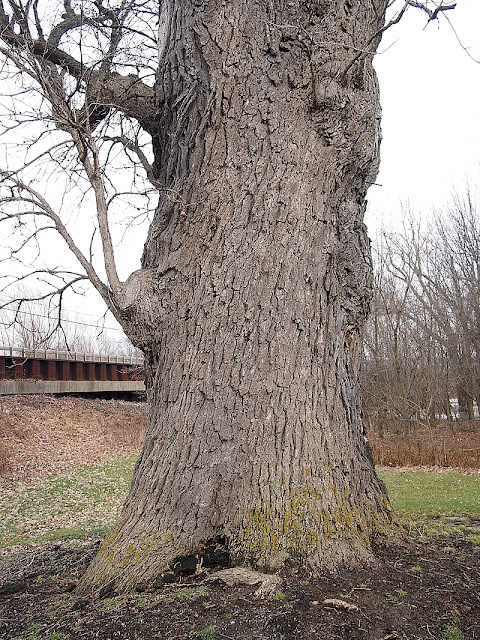 The at least 250-year-old bur oak is 70 feet high and 24 feet in circumference, a large girth under any circumstances, but an interminable one when a person is trailing their internal organs around it. Based on my attempt, it would take at least four people to wrap their arms all the way around its lumpy trunk. 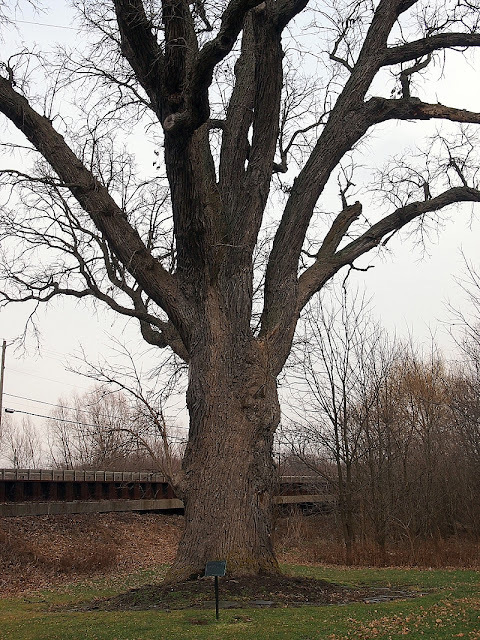 A plaque at its base that references a pair of impressive-sounding arborist societies validates the age of the tree as dating back to the Revolutionary War, but does not officially designate it as the Torture Tree of legend. That’s left for your imagination. And, you know, the historical sign on the side of the road looking to draw passersby to the ancient tree that tasted blood.